Funds Europe presents the findings from its survey with RBC Investor & Treasury Services to assess the industry’s state of preparedness for Ucits V.
Between January and March, Funds Europe and RBC Investor & Treasury Services surveyed close to 100 fund managers, providers and management companies in 23 counties on various aspects of the impending Ucits V rules. The aim of the exercise was to assess the relative level of preparedness across the industry and to help firms benchmark their own Ucits V plans against their peers. The survey focused on the three main areas impacted by Ucits V – the depositary function; fund governance and oversight, including the role of independent directors; and investment manager remuneration. 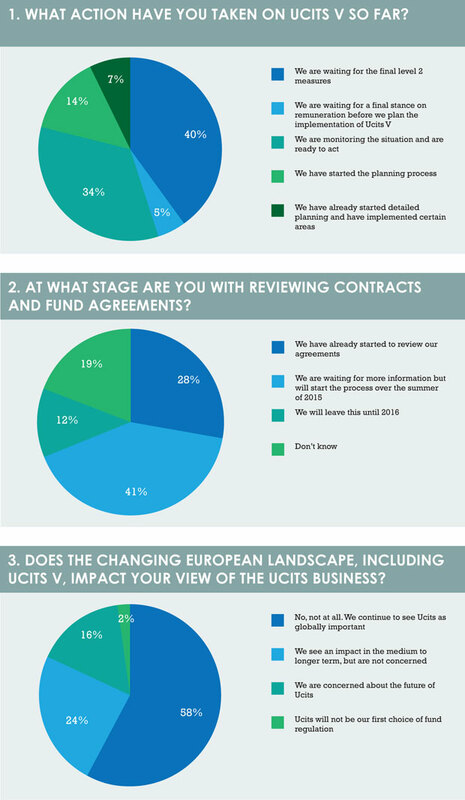 We asked firms about action they have taken so far, what issues they see arising from the various rules, and whether the introduction of Ucits V is likely to change their view that Ucits is an investment vehicle of choice. The responses, which are detailed below, are varied. However, a clear majority signal that they will continue to see Ucits funds as globally important in the Ucits V environment. They are not concerned that changes will affect the business. However, the more detailed issues – from the provision of insurance for independent directors, to the review of custody arrangements in light of depositary liability – show that there is a much wider divergence of views. This could be explained by the fact that the Ucits rules will affect different firms in different ways depending on their size, their product range, their investor profile and their domicile. But it could also reflect the different interpretations of Ucits V among managers while the industry waits for finalised rules. This is also suggested in the survey’s first question regarding the market’s state of readiness. 1. What action have you taken on Ucits V so far? The main finding from question 1 is that only 6.5% of respondents have actually implemented any new processes in preparation for Ucits V and only 14% have started the planning process. This means that almost 80% of firms have not yet taken any tangible action. This is not to suggest that there are an alarmingly high number of firms simply sitting on their hands or too confused to know what they should be doing. Rather, they are still waiting for further clarification from the relevant authorities. The main response to this question (39.8%) was that people were waiting for the final level 2 measures to be ratified before taking any action on Ucits V (see article on p22 for more detail on the Ucits V timetable). The second biggest response (34.4%) was from firms that are “monitoring the situation and are ready to act”. 2. 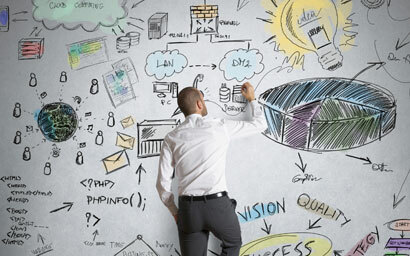 At what stage are you with reviewing contracts and fund agreements? As regards the review of contracts and fund agreements, most respondents (40.9%) are waiting for more information but will start the process over the summer of 2015. Just over a quarter (28%) have already started to review their agreements. The remaining responses show that no action is likely to be taken this year, with 11.8% saying they will leave it till 2016 and 19.4% saying that they don’t know what the arrangements are. 3. Does the changing European landscape, including Ucits V, impact your view of the Ucits business? The survey shows that there is little fear among managers that Ucits V will adversely affect the popularity of the Ucits brand. More than half of respondents (58.1%) see no impact at all on Ucits business from Ucits V, while 23.7% see an impact in the medium to long term but are not concerned. However, a sizeable enough proportion (16.1%) are still concerned about the future of Ucits. 4. For each of your fund ranges, how will the new depositary rules make you examine your custody arrangements? 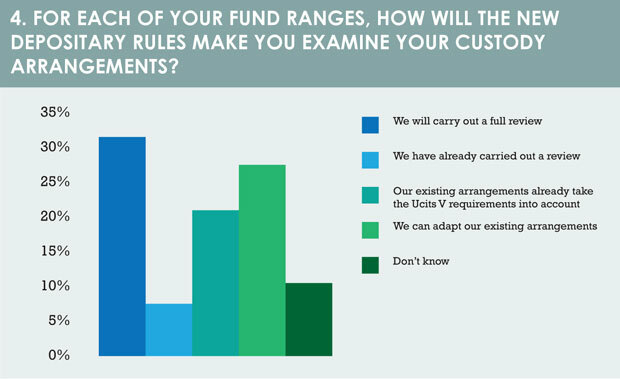 As stated, the rules for depositaries are more clarified than any other Ucits V issues at present, yet the survey shows that only 7.5% of respondents have carried out a full review of their custody arrangements in order to assess the impact of Ucits V. In mitigation, almost half of managers have seemingly carried out enough of a review to conclude that likely impact is of little concern – their existing arrangements either fit within Ucits V rules (21.3%) or can easily be adapted (27.5%). But this still leaves a high percentage that do not yet know, with almost a third saying that they will carry out a full review in the future and 11.3% unsure of their plan. 5. If the increased depositary liability will make you review your custodial arrangements, what are the key factors affecting your decisions? Looking at the impact of depositary liability on custody arrangements in more detail, the survey shows that the biggest single factor affecting any decision is the depositary balance sheet, closely followed by the credit rating, while cost, geographical expertise and product capability were deemed less important. Even client service reputation ranked somewhere in the middle. While product capability may have a higher average ranking, it is the balance sheet that most frequently features as respondents’ number-one concern. This is understandable, given that the depositary liability will be enacted only in the case of a major default or loss event, hence the importance of a balance sheet.